I usually avoid storylines revolving around a woman’s weight. I’m not interested books like Size 12 is Not Fat, and I’m never going to watch “This is Us,” even though many people tell me that I, especially, would love it. I guarantee you, I would not. I prefer my entertainment to include women living interesting lives where there’s no obsession over their weight. You know, like men get. 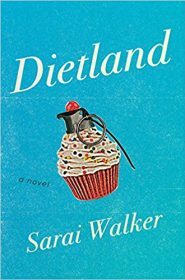 I broke my rule and picked up Dietland by Sarai Walker after I saw a few commercials for the TV series based on the book. What intrigued me in the commercials was a feminist uprising, and that is my favorite part of the book, but I’m still trying to process my feelings for the rest of it. 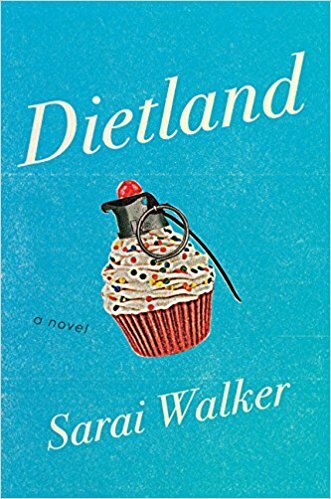 Dietland follows Plum Kettle, a 300-pound young women who works from home, or her local coffee shop, dispersing advice to teenage girls who write emails to a Seventeen-like magazine. Most of the girls question their looks, seek tips about eating disorders or things like cutting, and ask for advice about boys. Plum has set responses for these girls and often wonders how funny it is that someone like her is replying to them, which is just one of the ways in which Plum puts herself down this whole novel. Plum feels horrendous about her body, constantly thinking negative things and sheltering herself from much of the outside world. She moves between her house, the coffee shop, and Waist Watchers meetings, and she prefers it that way. She’ll do more when she’s thin, and her weight-loss surgery is approaching, so she buys clothes for when she’s thin and thinks about all she’ll do when that thin woman inside is released. Plum starts to slowly change her views about herself and the rest of the world when she runs into a group of women questioning our patriarchal, misogynistic society. One of these women is the daughter of a diet guru Plum used to follow and she promises to give Plum $20,000 if she goes through a series of tasks before her weight-loss surgery. Some of these tasks are simple, like a makeover, while some are more difficult, like confronting people who mock Plum because of her size. YES. I think I might’ve set the book down and clapped at that, and this side story is what I loved about this novel. I wanted more of the uprising. 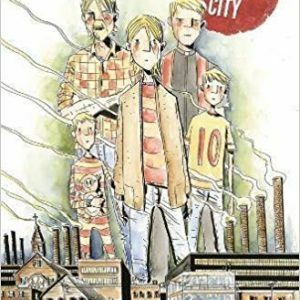 I was hoping Plum’s story would intersect a lot more with it than it did, so that was disappointing to me. I got much more about Plum’s body issues than I did of the uprising, the most interesting part of the book. 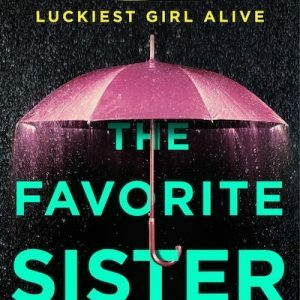 I’m still trying to figure out my feelings about this book, because on one level I do think Plum’s character feels real and hearing her voice and how badly she thinks about herself is what many women feel, but do I want to hear this? I have a hard time with how innate this self-flagellation is in our society and how we women do this to each other all the time. We talk about eating “bad” foods or we declare to the table that the food we’re eating will take up all our calories for the day. It’s so intrinsic in our society that most women think talking about food like this isn’t a big deal whatsoever, but what does it say to all the other women around you? To all the young girls around you? In one way, this is actually exactly what this novel is about, to get Plum out of this mindset through the tasks she does. Some women really need to hear this, so in that way this novel could be fabulous for some, but for me I’m just so sick of this. I’m sick of hearing a woman feel badly about herself, even if I know the end result will be her breaking this habit. I feel like I’ve seen that story many times before. What I haven’t seen as much before is a feminist uprising making men feel as nervous as women do in society. That’s what I wanted more of in this book.